Mix 107.3 Radio Station presents Mystic Mix & Mingle Psychic Fair and Happy Hour! Click here for information about the event! For those who enjoyed the reading by Jennifer Garcia, Founder of Spiritual Spectra, but would like to know more, you can take advantage of Spiritual Spectra’s Mystic Mix & Mingle Special Offer! Pay for a Tarot or Medium Reading by midnight on 4/23/2018 and receive a 15% off Discount. Select a reading below and then enter the discount code. 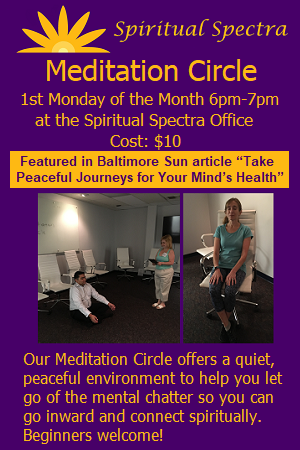 You must attend the event and stop by the Spiritual Spectra table to get the special discount offer code. After payment is made, you will be contacted by Ms. Garcia to schedule your reading. You can reach her at 1-888-934-3642 or info@SpiritualSpectra.com.